There was a common thread between the two Grand Prix; in one, the winner wept in a touching display of humanity, and in the other, everyone wept after seeing the top eight was nothing but vehicle decks. October is going to be fun, if for no other reason than we’re going to get a hard reset with the loss of Kaladesh block. Birmingham was Legacy and, as a result, doesn’t mean anything to anyone, really. New Karn showed up in a couple of sideboards, which is cool, and bodes well for the card. Beyond that, there wasn’t anything in the lists that stood out as noteworthy, and even if something did, it would be hard pressed to move any needles hard. I was tempted to talk about picking up Lion’s Eye Diamonds, but they’re already $250, so forget it. Gitrog was, at the time of his spoiling, a card people were awfully excited to brew with. He did things players loved — drawing cards and putting lands into play — and he was also a giant frog. What’s not to be attracted to here? A frog, for god’s sake. With Muldrotha’s release in Dominaria, and the subsequent popularity of….it, Gitrog has found another yet home. He fits right into the strategy of playing things from graveyards, and again, he’s a frog. More importantly, he’s a single printed legend with dwindling supply. Shadows Over Innistrad isn’t an underprinted set, per se, though one look at stock on foil Gitrogs and you’ll see that doesn’t matter much. Given that his EDHREC numbers are actually a touch more anemic than I would have anticipated, it seems that there’s probably strong kitchen table demand for everyone’s favorite evil frog. A couple copies remain below $15, and beyond that, there’s isn’t much left at all. People are going to keep adding Gitrog to their decks, whether as a commander, or as an include in Muldrotha, or anywhere else, and foils are going to hit $30 right along in the process. Making sense of Standard results at this point in the format can be difficult, since it’s such a wide open brawl (heh). Once the fall and rotation comes, and card prices begin moving in the good direction, the format will be so different that it will be tough to figure out what cards will be important. Our best bet is to try and find strong cards in each color that are seeing play now, that could remain or improve their position after rotation. Aggressive decks have remained popular after Dominaria, and they’ve come in two stripes, those with a heavy vehicle presence and those without. In all the decks without a vehicle component, Goblin Chainwhirler has been a key figure. Hitting everything on the other side for one damage can be a nuke depending on the board setup, and a 3/3 first strike is no joke either. 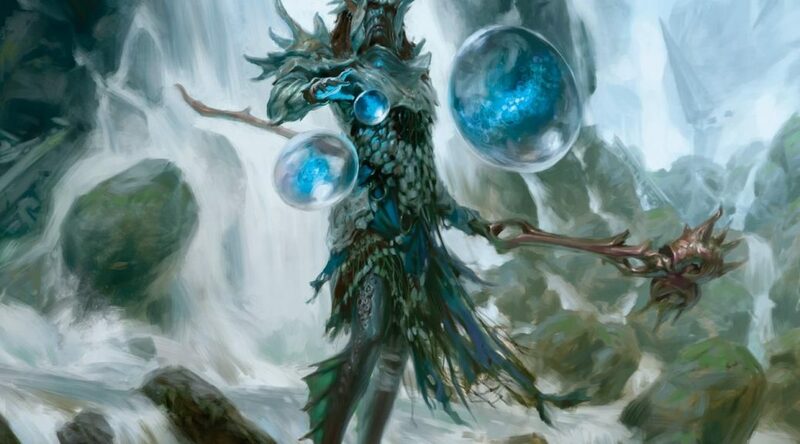 Given that we can expect Llanowar Elves to remain a key card in the format regardless, Whirler will almost assuredly have targets. Four dollars isn’t as cheap as we’d normally like our Standard picks. Ideally you can spot them in the $.25 range and then get out above $10, ala Nightveil Specter. They’re not all going to be that good though, and in the meantime, Chainwhirler may (I emphasize “may” over “will”) end up as a tier one card between now and the end of October. Of course I have to include at least one solid, slow burn spec. Resurgent was obvious in the same way a baseball bat to the temple is obvious, but that doesn’t make it any less valid. It’s taken about two years to get there, and now we’re just about at the point where the price is poised to jump. Resurgent is guaranteed to be reprinted at some point, if not this year, then next year is certainly on the table. And at the same time, it’s guaranteed not to be in an expansion set, since it’s so closely tied with the Zendikar plane and story. (Although the return of core sets changes that math a bit.) Most likely, we’d see it in a commander product — in non-foil, of course. A few copies are floating around $8 or so, and it’s not a deep well after that. How could it be, when it’s in 13,000 decks on EDHREC? This will sit comfortably between $15 and $20 once it runs out the first time, and will keep creeping up after that until it shows up in foil again, whenever that is.